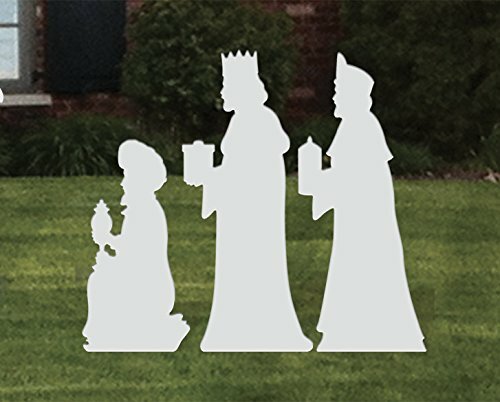 Expand your large silhouette Nativity Display with our realistic-looking Three Kings Add-On Set. Made from all-weather pvc plastic material that will last for years. Looks stunning in any yard--daytime or nighttime. Waterproof, resists mold and mildew, will not rot or delaminate. Standing Kings 45" tall, Kneeling King 32" tall. Includes steel stakes and all hardware needed for displaying in your yard. Proudly precision manufactured in the USA. If you have any questions about this product by Front Yard Originals, contact us by completing and submitting the form below. If you are looking for a specif part number, please include it with your message.